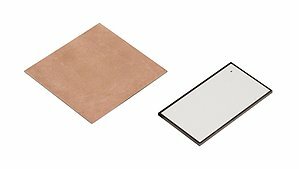 PI Ceramic (PI’s piezo materials and components design and manufacturing division) is a supplier of high quality piezo ceramic components made from PZT and lead free material formulations. 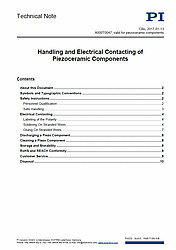 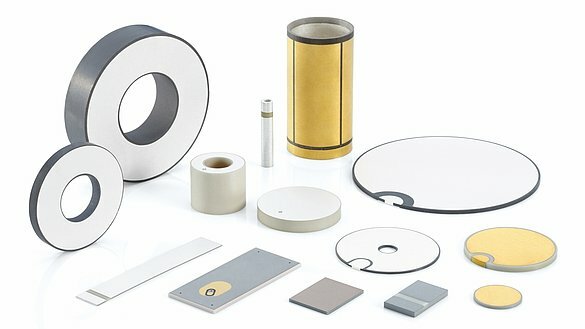 Piezo ceramics are part of the electroceramic group of materials which cover electrical, mechanical, and magnetic properties. 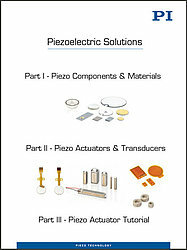 Piezoelectric transducers convert mechanical energy into electrical energy and vice versa; their operation range covers DC to high frequency applications up to several MHz. 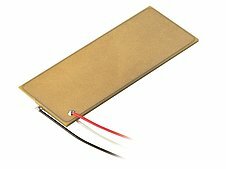 For ultrasonic applications, piezo transducers are operated in resonance, with typical resonant frequencies between 200kHz and 10MHz. 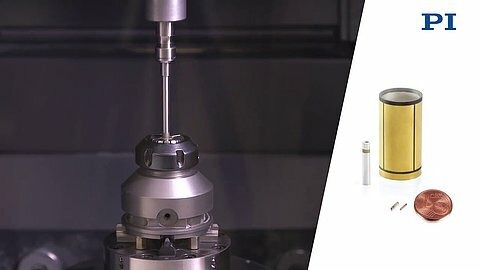 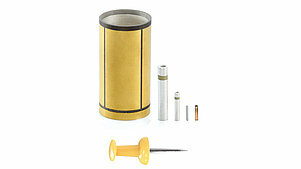 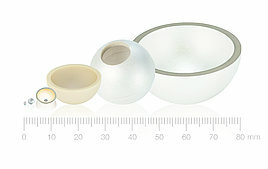 PI Ceramic manufactures piezo components, including tubes, rings, plates, disks, and spheres that can be used in applications such as medical ultrasound technologies, level and flow control and measurement, ultrasonic welding and cleaning, bubble detectors, and proximity sensors, echolocation (sonar) etc. 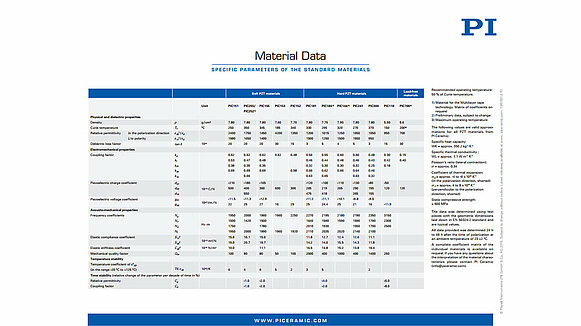 The product groups below are available with custom shapes and dimensions, with limits determined by the production tools and minimum dimensions based on physical and technological limits. 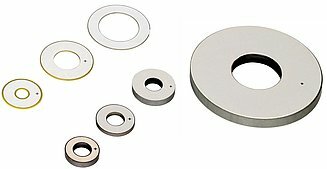 The minimum thickness or wall thickness of a piezo component is limited by the mechanical strength of the ceramic material required during the machining process. 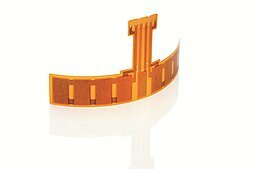 The maximum thickness in the polarization direction is 30mm. 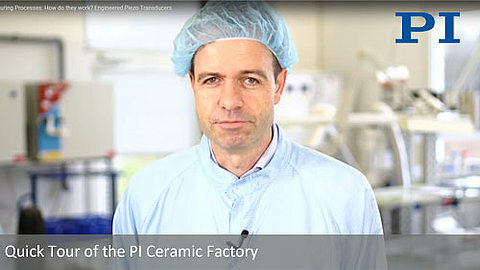 PI Ceramic has access to state-of-the-art machines and technologies and can ramp up quickly components to provide piezo components in large quantities at short notice. 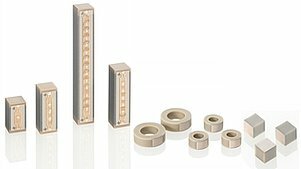 PI Ceramic also has experience in the design and manufacture of miniaturized piezo transducers with both traditional pressing and multi-layer tape casting technology. 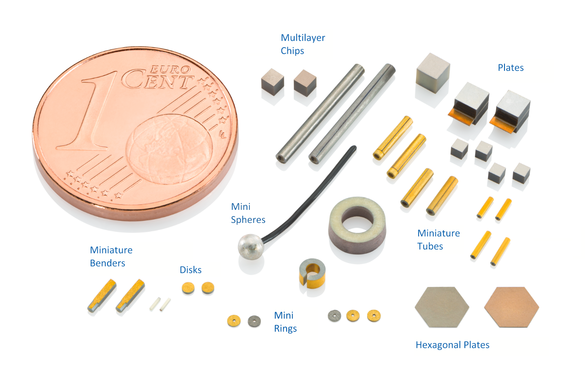 Components with external dimensions below 1mm can be produced. 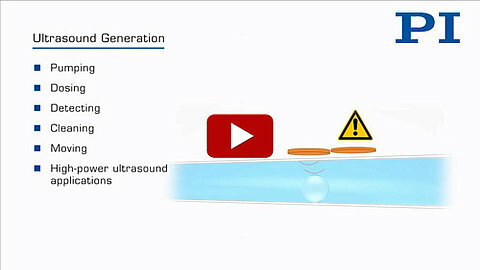 Miniaturized sensor and actuator elements can be found in novel scanning catheter endoscopes or in active implants that regulate the internal eye pressure.